My name is Lily and myself and some fellow Australian Burner friends have started an organisation this year called LOOP Cycles. We are supplying Custom designed bikes for Burning Man ordered online, that are picked up in Reno, and then returned to us after Burning Man. We then donate them to Namibia, Africa where they are re-cycled and re-purposed as a means of mobility. We are very excited about the potential of this project and the positive impact it can make in Namibia. We also feel that it a is very unique way for Burners to extend the Burning Man way of GIFTING beyond the vicinity of Black Rock City…We want people to be able to personally make a difference 1 bike at a time! Hi guys. just a little more information about the project. Loop Cycles is not just ‘shipping these bikes off to Africa on a whim thinking we are saving the world. We have partnered up with an Organisation called Bicycles For Humanity who are an established grassroots movement and have been supplying bikes to developing countries for 7 years. If you check out their website (http://bicycles-for-humanity.org/) you can see the work that they have provided for the communities throughout Africa, not only providing mobility to healthcare workers, students and empowering females, but turning the containers into bike workshops. With tools, spare parts and comprehensive training material on bicycle maintenance it is designed to empower people and their communities with transportation and the means to maintain it. Nigel who runs the Namibia chapter lives there and works with these people all year round. He has developed an understanding of the needs of the community, and is working with them to improve their health and lives, not just dumping a whole lot of bikes on their door step as a token gesture. Hope this bit of information is helpful in understanding our goals at Loop Cycles and why we think this is a good idea. 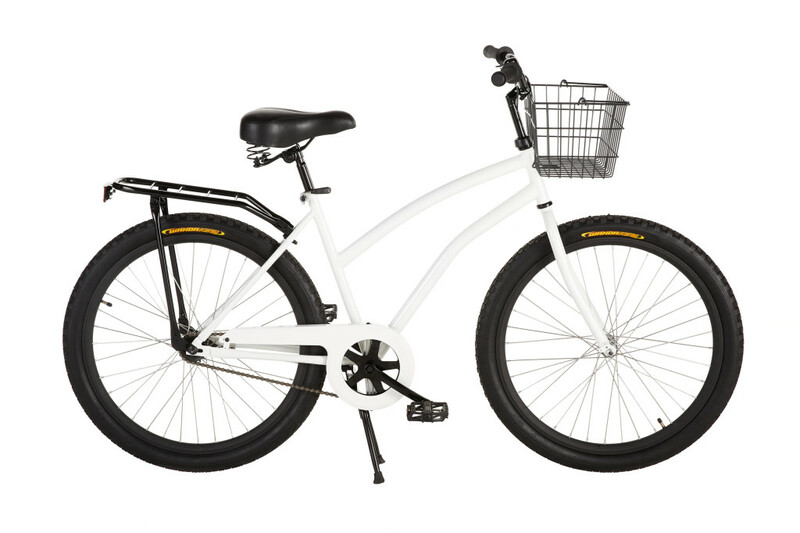 …and in regards to the issue around bikes getting trashed, we have specifically designed this bike for its 2 lives. Firstly we have custom designed features of the bike to survive its duration in Black Rock City and endure the playa dust, and secondly we have worked very closely with LEKKER bikes and Bicycles For Humanity to design a bike that will also withstand the conditions of the kalahari desert. Luckily these two lives have similar needs…big thick tyres, limited amount of superfluous parts that can easily break, and no gears, single speed with back pedelling breaks. Also the bike has a steel frame as a key feature, allowing the community bike workshops in Namibia to easily weld extra parts onto the bikes, (eg. a day bed to carry patients) depending on the specific use of that bike. And with the Namibian communities receiving multiple of the same bike allows them to familiarize themselves with the parts, and easily fix anything that might be broken. Most bikes you buy for Burning Man are not designed for the desert, that’s why they are trashed by the end. But we have spent the time to make sure ours is! Well done guys! I will buy one love the concept! so Ryan, would prefer people to buy bikes in SF and Reno, and leave them in a pile by the side of the highway like every other year? This is a great way to reduce the impact of burning man, while helping others. But there are still many places how don’t have any bikes in Afrika. There is not that much or may 0 competition. The container will be reused as bike maintenance shop for bikes. They just what to help people in Afrika and don’t want to put the bikes after the events in the rubbish bin. I recon its great! I think that as long as we avoid shipping them any bicycle ambulances we won’t be stepping on the local economy. As long as you’re researching, go ahead and find out if there ARE any bicycle manufacturers in Namibia. If there are, and the Namibians still don’t have any bicycles, maybe they could use some bicycles. This is a great idea. Sorry Ryan you’ve lost the plot. And arrogant with it. There are enough bikeless people to go round and there will be work a plenty in Africa for bike suppiers, assemblers, fixers. No no no no no. What a ludicrous idea. We have this idea in our culture that shipping things to Africa is going to make everything better. What do you think happens to bike producers in Namibia when someone in another country decides to do “charity” and donate tons of bikes, driving the demand for bikes down, and thus destroying a business that contributes to their economy. The better (but still not perfect) way to go about this would be to donate money to a bike producer in Namibia (or surrounding area) to produce bikes to give away or offer at a cheaper price. This is logic people, take a college course.